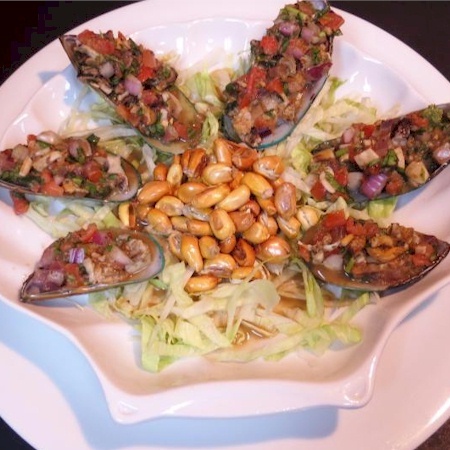 Aji Limon serves unique and rich authentic Peruvian cuisine with influences from Inca, Spanish, African, Chinese, Japanese and Italian cultures. 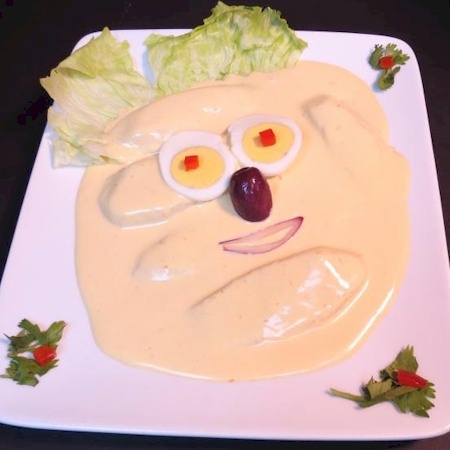 Boiled potatoes covered with yellow spice sauce and cheese sauce. Fried yucca covered with yellow spice sauce and cheese sauce. Mashed potatoes stuffed with tuna salad. Mashed potatoes stuffed with chicken salad. 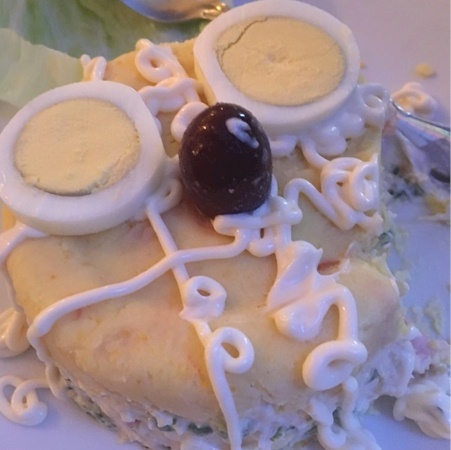 Mashed potatoes stuffed with seafood salad. Mashed potatoes stuffed with shrimp salad. 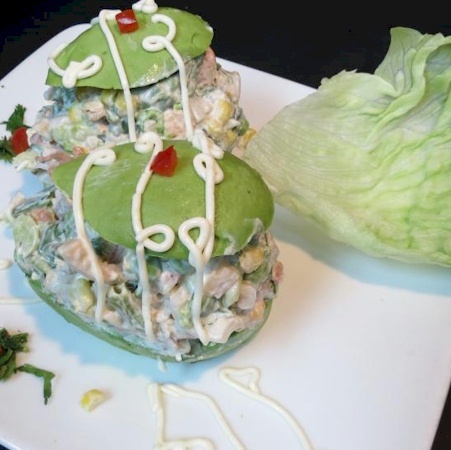 Avocado stuffed with chicken salad. Avocado stuffed with seafood salad. Avocado stuffed with shrimp salad. 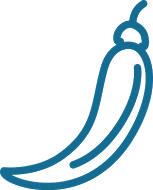 Whole Peruvian corn with white cheese. Chicken soup with noodles and vegetables. 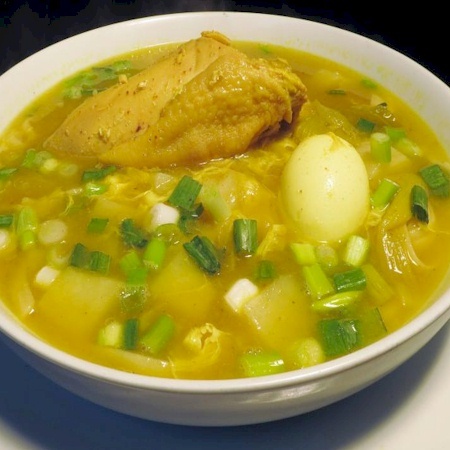 Hen soup with noodle, egg, potatoes. Special steamed seafood and fish soup. 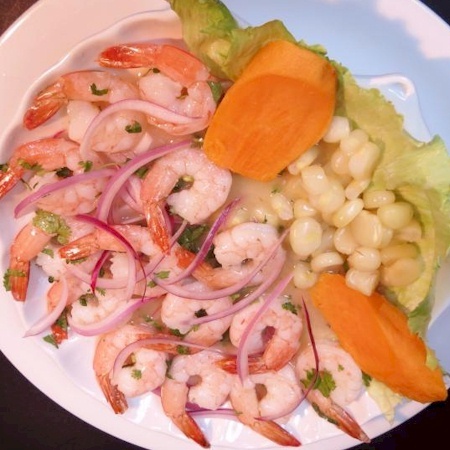 Concentrated, flavorful liquid from our delicious ceviche. Back to life of fish. 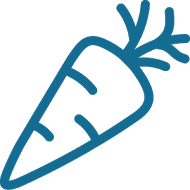 Back to life of seafood. Mixed seafood and fish ceviche. Deep fried fish chunks with yucca and onion salad. Deep fried jumbo shrimp with yucca and onion salad. 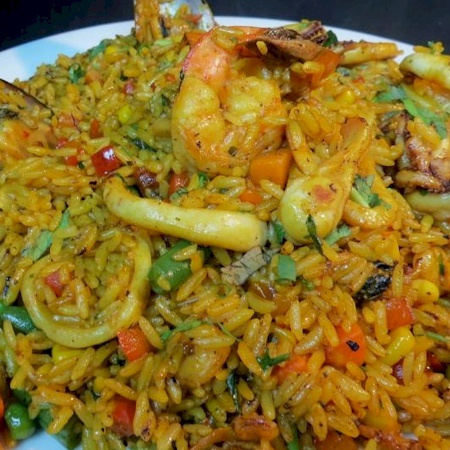 Peruvian paella with mixed seafood. Peruvian paella with mixed jumbo shrimp. Sauteed beef, chicken, and shrimp. 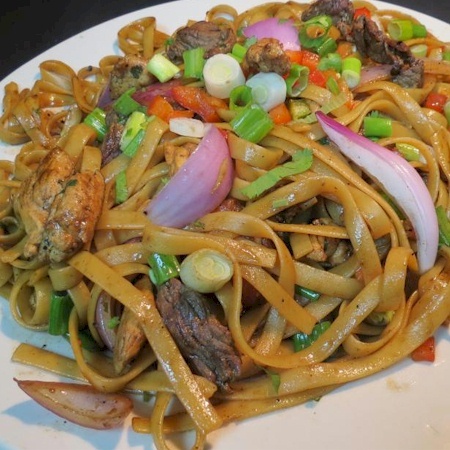 Peruvian spaghetti with beef, chicken, and shrimp. 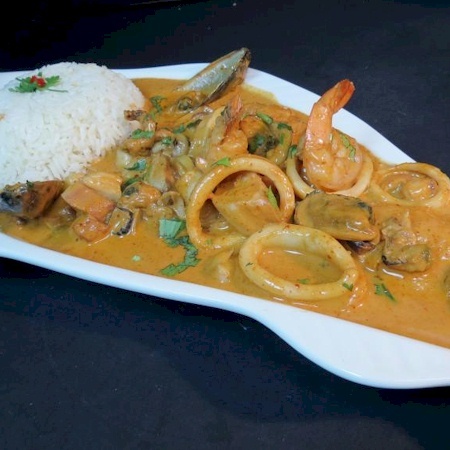 Fish topped in a creamy, seafood and spicy sauce. 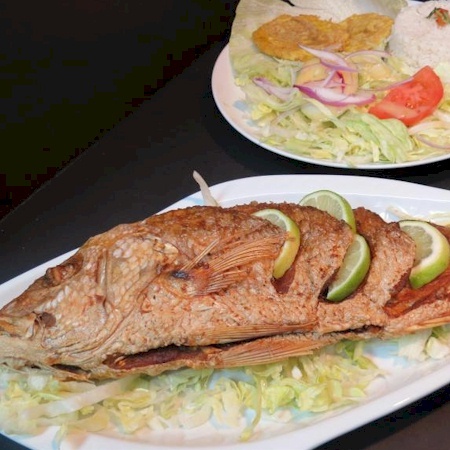 Deep fried whole red snapper with your choice of 3 sides. Peruvian pesto style green spaghetti with sauteed beef. Peruvian pesto style green spaghetti with sauteed shrimp. 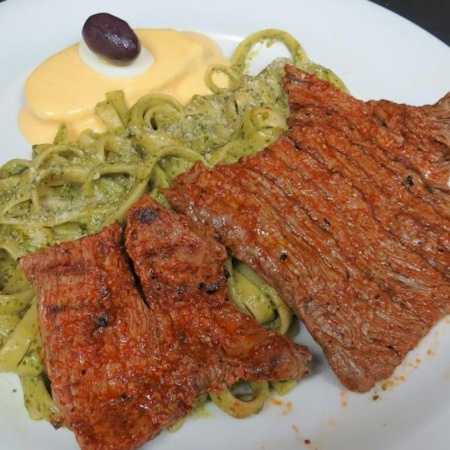 Peruvian pesto style green spaghetti with grilled steak. Peruvian pesto style green spaghetti with grilled chicken. Peruvian pesto style green spaghetti with grilled pork chop. Peruvian pesto style green spaghetti with grilled fish filet. Peruvian pesto style green spaghetti with breaded, fried steak. Peruvian pesto style green spaghetti with breaded, fried chicken. Peruvian pesto style green spaghetti with breaded, fried pork chop. Peruvian pesto style green spaghetti with breaded, fried fish filet. Peruvian pesto style green spaghetti without meat. Spaghetti with mix of beef and chicken. Fried rice with mix of beef and chicken. 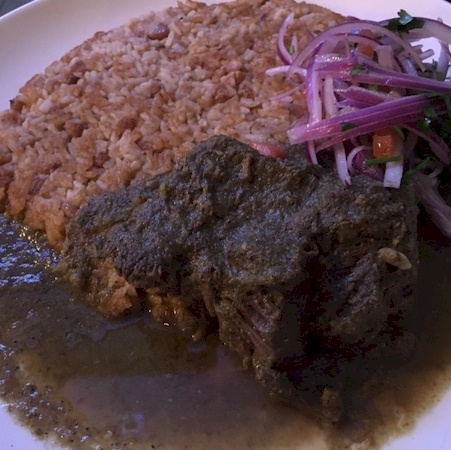 Peruvian pot roast, white beans, white rice, and onion salad. Yellow spice cream with shredded chicken, and white rice. Fried bread steak with your choice of 2 sides. Fried breaded chicken with your choice of 2 sides. Breaded pork chop with your choice of 2 sides. Breaded fish fillet with your choice of 2 sides. 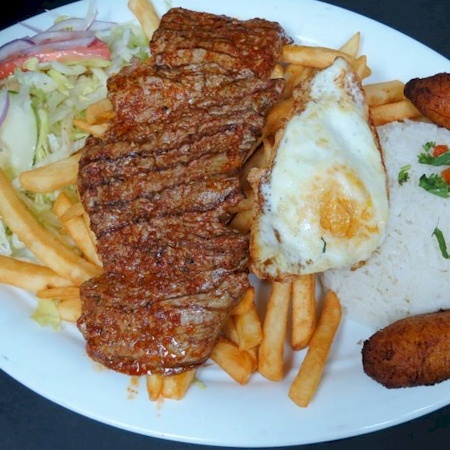 Poor man's steak, large portion of delicious, marinated steak, served with rice, fries, egg, salad, and sweet plantains. 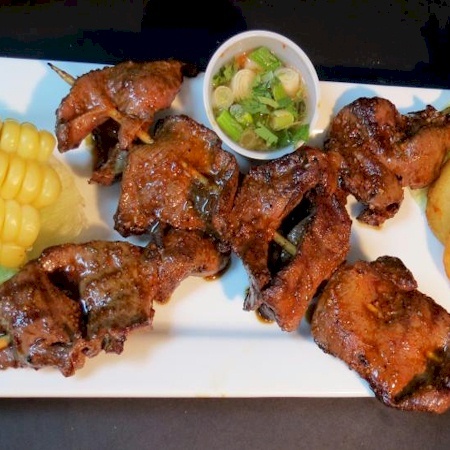 Heart skewers with potatoes and corn. Steak with your choice of 2 sides. Chicken breast with your choice of 2 sides. Pork chop with your choice of 2 sides. Fish fillet with your choice of 2 sides. New York steak with your choice of 2 sides. 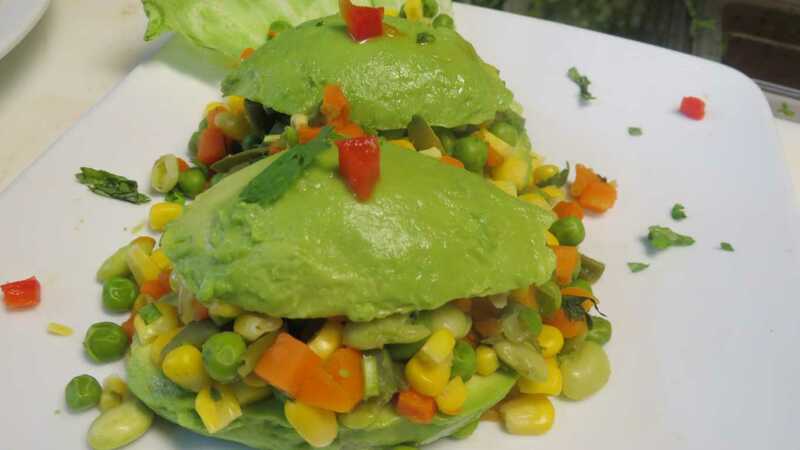 Avocado stuffed with mixed vegetables. Yellow potatoes stuffed with mixed vegetables. Soy meat and mushrooms sauteed. Peruvian style sauteed vegetable with soy meat. 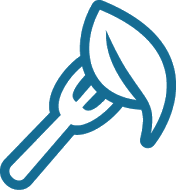 Peruvian style sauteed vegetable with mushrooms. Peruvian style sauteed vegetable with soy meat and mushrooms. Fried rice with soy meat. Fried rice with soy meat and mushrooms. 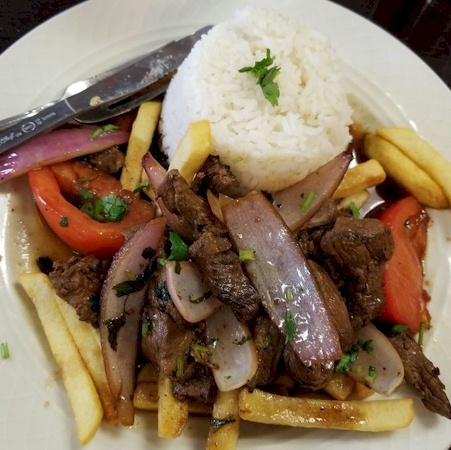 Peruvian style of mixed beans and rice with sauteed beef. 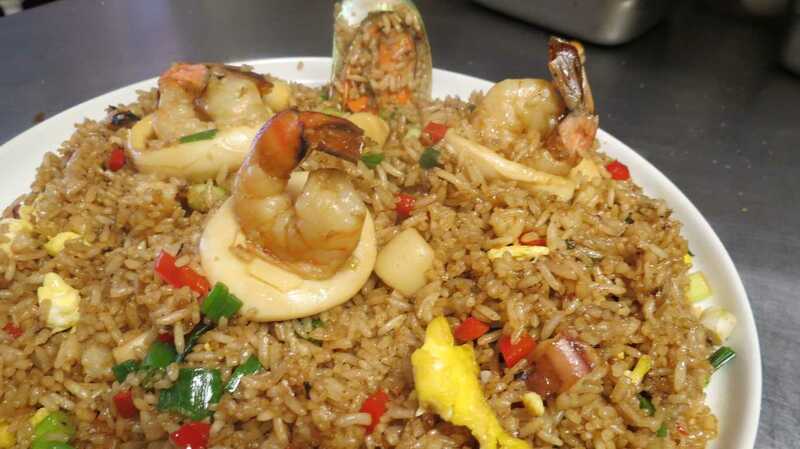 Peruvian style of mixed beans and rice with mixed seafood. Peruvian style of mixed beans and rice with sauteed shrimp. Peruvian style of mixed beans and rice with grilled steak. Peruvian style of mixed beans and rice with grilled chicken. Peruvian style of mixed beans and rice with grilled pork chop. Peruvian style of mixed beans and rice with grilled fish. 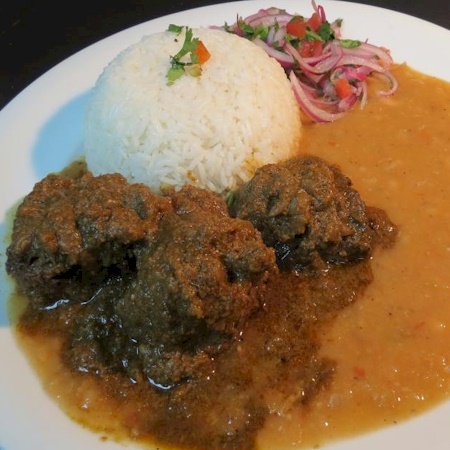 Peruvian style of mixed beans and rice with breaded, fried steak. Peruvian style of mixed beans and rice with breaded, fried chicken. Peruvian style of mixed beans and rice with breaded, fried pork chop. 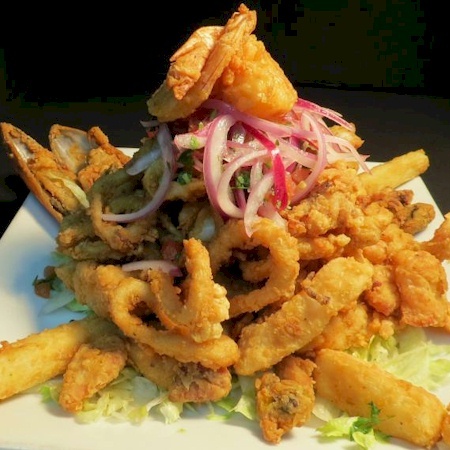 Peruvian style of mixed beans and rice with breaded, fried fish fillet. 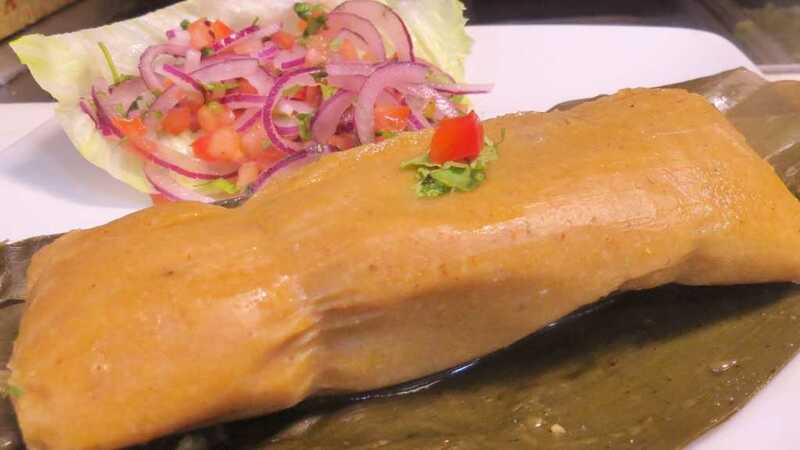 Peruvian style of mixed beans and rice without meat.